We would like to Thank you for choosing Surplus Concert Pro Theme. Choose one of the approach. Click Browse. Locate surplus-concert-pro.zip theme in your computer. 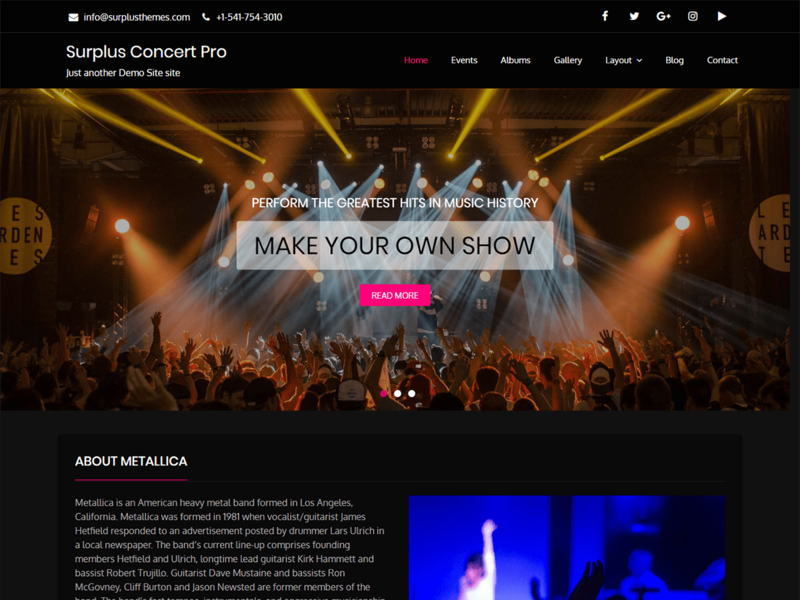 Select surplus-concert-pro.zip and click Install Now. Unzip surplus-concert-pro.zip to your Desktop. 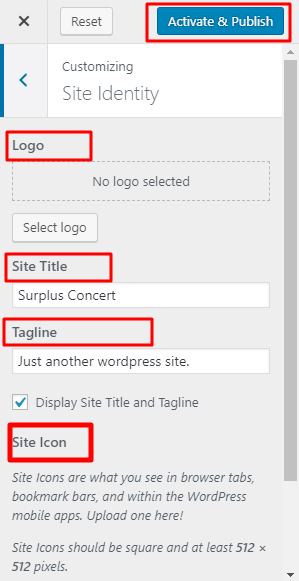 Using an FTP client to access your host web server, go to /wp-content/themes/ and upload your new copy of Surplus Concert Pro theme. 4) Setting up Front page and Blogpage. Go to Appearance>Customize >Homepage Settings. To setup banner section go to Appearence->Customize->Banner/Slider Sections. 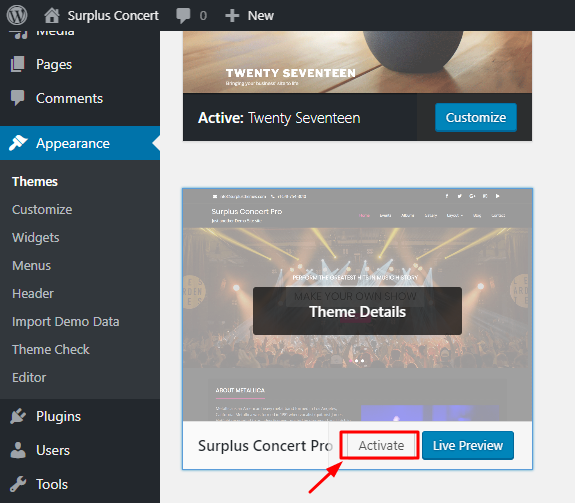 Surplus Concert Pro theme has five different slider /banner options. Disable:- Hides slider from the frontpage. Post/Page Slider:– Let you add slides from posts or pages. Category Slider:– Let you display slides from the chosen post category. Custom Slider:– Let you add custom image, slide text, button and url. This theme has different slider control features and it is customizable as per requirement. Banner image of inner page can be changed through header media option. 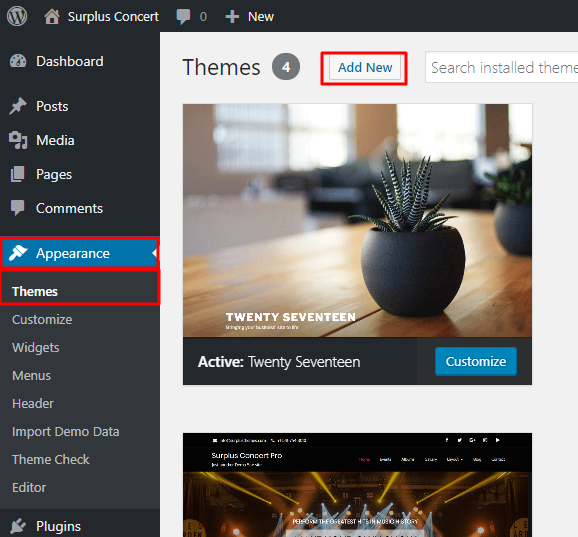 Go to Appearance->Customize->Header Media. 6) Setting up Frontpage About Section. Go to Appearance->Customize->Frontpage Sections->About Section. Select the page which you want to show in about section. If you want to add more text in this section then you can use excerpt option of page. 7) Setting up Frontpage Event Section. Go to Appearance->Customize->Frontpage Sections ->Event Sidbar. Event section in frontpage can be added from ST: Events widget. Click on Add a Widget button and then search for ST: Events Widget. Click on widget to add in event sidebar. 9) Setting up Frontpage Blog Section. 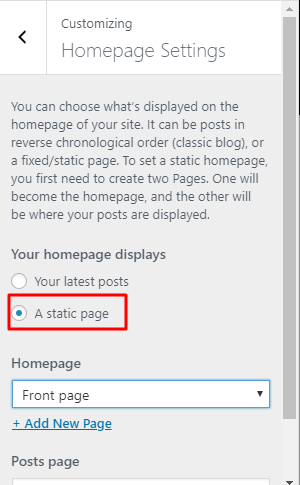 Go to Appearance->Customize->Frontpage Sections->Blog Section. 10) Setting up Frontpage Instagram Section. Go to Appearance->Customize->Frontpage Sections->Instagram Sidebar. Instagram section in frontpage can be added from ST: Instagram Widget. Click on Add a Widget button and then search for ST: Instagram Widget. Click on the widget to add in Instagram Sidebar. 11) Setting Up Footer section. Go to Appearance->Customize->Widgets or footer widgets can be added from Admin Dashboard->Appearance->Widgets. Copyright text can be changed through Appearance->Customize->Footer Settings->Footer Copyright Text. You can modify footer content and scroll to top options.